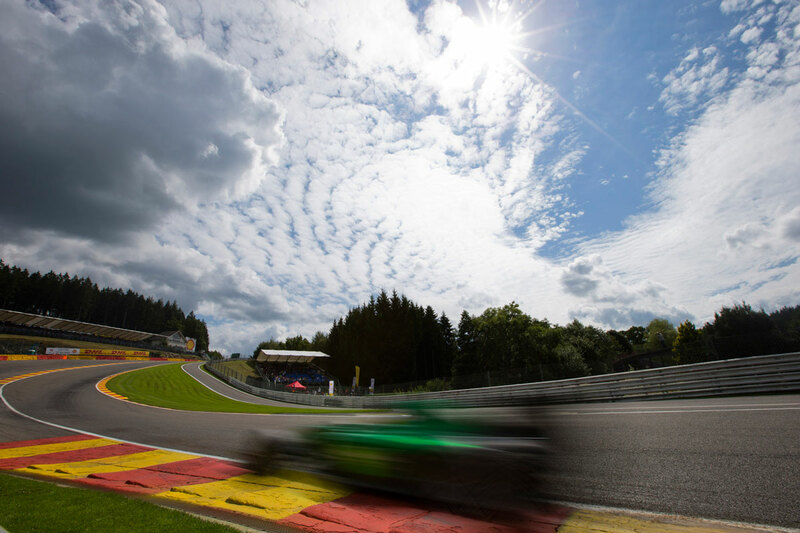 The majestic track at Spa Francorchamps is a throwback to the past; cars hurtling along a 7km track, weaving through roads in the picturesque Ardennes forest – it all seems a long way from the glamour and ultra modern facilities of some of its counterparts. This track is by no means a relic though, Spa has long been a favorite for both fans and drivers, synonymous with speed and steeped in history. Spa Francorchamps is a great place to visit as a spectator. There are a good variety of views, the cars are nice and close in places and the atmosphere is electric. Everyone there is really happy to be there. 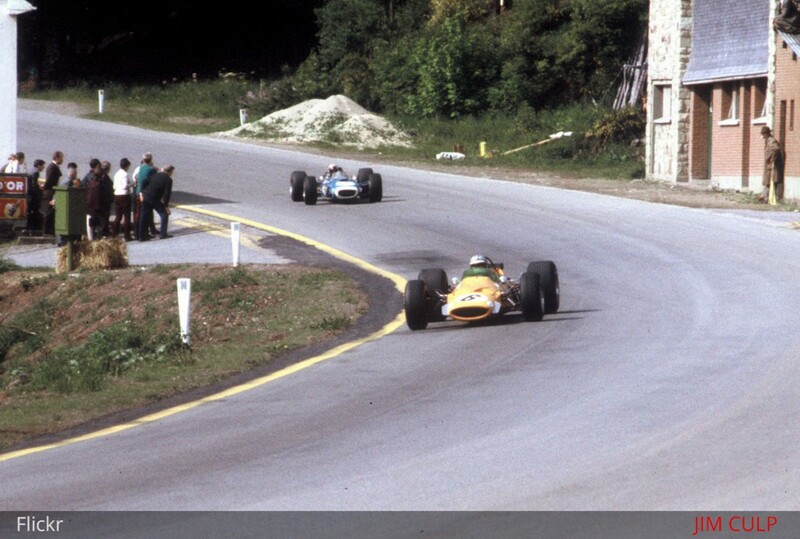 It’s not just a Grand Prix – it’s the Belgian Grand Prix at Spa Francorchamps. Half the people here have been dreaming about and planning this weekend for years and are are finally ticking off that item from their bucket list and you can feel the excitement. 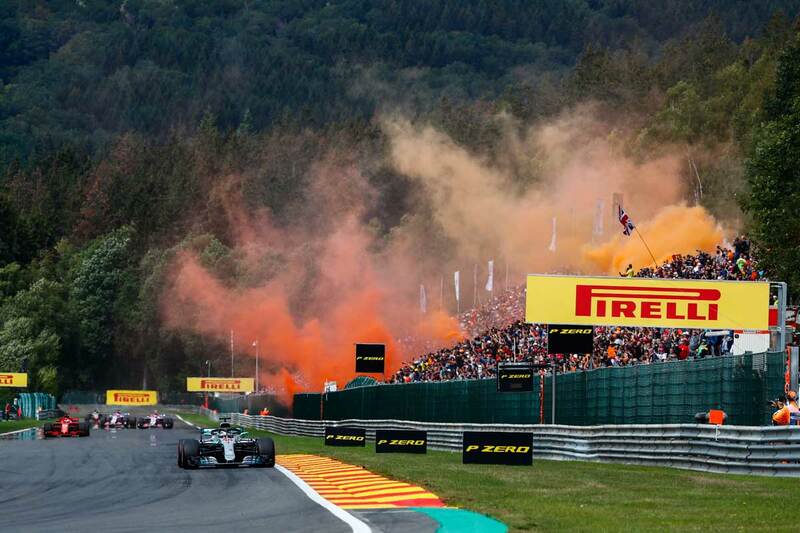 The rest of the fans are there for their second, third, fourth, fifth visit to Spa, because they know how special a place it is. Be advised that Spa is not Monaco. Don’t come expecting glitz, glamour, or even clean Portaloos. If Monaco is an exquisitely prepared dish served at a Michelin star restaurant, Spa is a portion of fish and chips wrapped in a newspaper. It doesn’t have the razzle-dazzle or sophistication but it’s every bit as satisfying. Keep this in mind when you’re preparing for the weekend. Bring your own bog-roll and hand sanitizer, good sturdy walking shoes for the circuit’s grassy, hilly terrain and plenty of warm and water-proof clothes. Have plenty of loose change. Some toilets are free but at others you’ll have to spend a penny. Well actually 70 cents. Taking the time at Spa to visit the section of road that was once the old Spa circuit is fascinating and chilling in equal measure. It is a 10km trip through the Belgian countryside on an unassuming piece of road that is one of the most fabled stretches of track in Grand Prix folklore. The original Spa was a 15 km, 21 turn road course that formed a rough triangle between the villages of Francorchamps, Malmedy and Stavelot. Growing concern by the late 1960’s about the danger of the circuit later led to the development of the new layout. The trip can be made by car or on bike (available to rent in Spa). Begin just outside the circuit perimeter, near the campsite adjacent to turn 7 of the present day Spa. Continue towards Stavelot on the N62 before back-tracking towards the Blanchimont entrance to the circuit. Weather at Spa is notoriously changeable, the circuit located as it is in the Ardennes forest, it has a strong micro-climate. It can be sunny in one part of the track and chucking it down in another part. Use a layered system of clothing for the weekend so you can easily adjust to changing conditions.